When Kiko makeup invited me to road test their new collection , I couldn't resist in inviting my industry friends to put it to the real test on a shoot last week. We have been really busy working on this project with Kiko and I have been so excited to show you all. 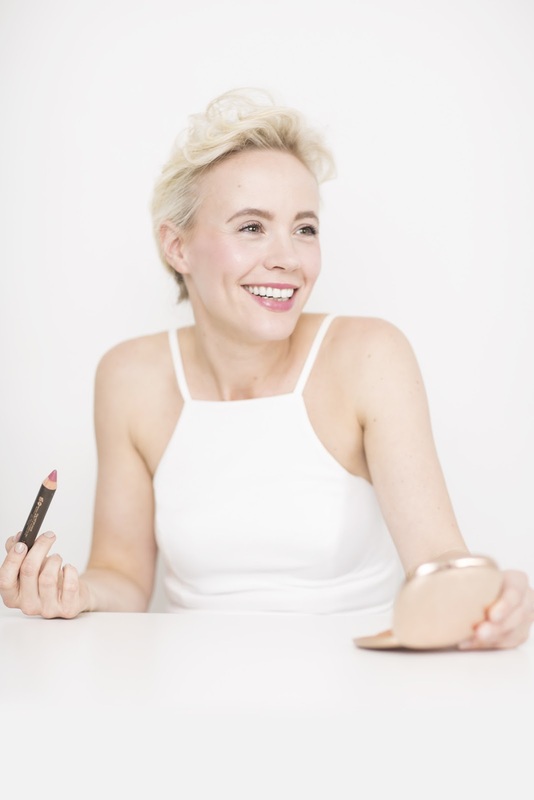 Here we show you how to take your makeup from Playground to Dinner Date in a few easy steps using some key products from their new collection. As you all know I am a bit of a hoarder and I have found that I am a bit of a beauty hoarder too. My cupboards are overflowing with duty free purchases and goody bag items from various industry events but when I find products like these I don't feel so ashamed that my dressing table is a mess because how gorgeous is the packaging? Not only does it look beautiful but it's this kind of product that I love carrying in my handbag , it's weighty and tactile like something you would associate with good quality products. (well it is Italian afterall! ). It has that vintage luxurious feel to it that makes you feel like a superstar even when you are working on 4 hours sleep and you haven't had a shower in 2 days. It's also super affordable which won't make you feel guilty for indulging in some new products. What I also love about the new collection are the compacts such as the Sunshine Cream Foundation and the Desert Dunes Bronzer. I regularly find myself doing my makeup on the go that's if I have any on at all. With 2 kids at home who cannot be left unattended for a second I find myself plonking them at the breakfast bar with fruit and toast and doing my makeup in the kitchen. So these compacts are perfect with the built in mirror. Foundation, bronzer and mascara is my go to makeup look for a day with the kids. It says that this mum looks after herself but isn't so obsessed with her looks that she neglects her children for hours in the morning. Well I thought by writing and preparing this blog post I would change my looks up a bit and seek the help of the 'professionals' to give me some inspiration to try some classic makeup looks. We decided to show you mums how to do two easy makeup looks that will take you from playground to dinner date . 1. Start with a good base by blending and applying the cream foundation and using a brow pencil and brow brush to tidy your brows. 2. Once you have a good base use the Free Spirit Lips and Cheeks Crayon in 105 and draw on your hand to then blend softly into the apples of your cheeks. 3. You can then use the same crayon to blend softly into your lips. 4. Perfect your eyes with the Endless Sky Volume Effect Mascara. 5.To give your face that healthy soft glow use the In The Shade Eyeshadow and Kajal and use the highlighting side to dab softly into the corner of your eyes, softly around the top of your lips and on the bridge of your nose. 6.We then used the Desert Moon highlighter and brushed gently around the top of my cheekbones and on the top of my brows. Voila done! And honestly didn't take too long either. A perfect soft make up look perfect for the playground. an easy fuss free look that requires minimal touching up when you have a busy day at work or an even busier day at home with the kids. Our second look is for those mums lucky enough to have a night out with the girls or the hubby and don't have much time to redo your makeup after a busy day. There is always this misconception that you have to start your makeup all over again. If you prepared your skin properly in the morning, a few light brushstrokes of cream foundation should be just enough to top up your base. 1.Simply add a dusting of Desert Dunes Bronzer to your face. (If you feel like you want to refresh your foundation, simply add a thin layer of cream foundation using a soft foundation brush). A red lipped look always looks best with a clear, well concealed skin. 3.Finally add that splash of colour to your lips with the Free Spirit Lips and Cheeks in 103 and then dab on lightly the 07 Mirage lipstick. 4.Finally blot out your skin with the Sunshine Powder Foundation and throw the compact powder foundation and lip crayon In your bag. Perfect for doing those touch ups on your night out! A good finishing touch to this look is to add a few coats of Kiko nail varnish to your nails preferrably in a shade that matches your shade of lipstick. I am totally in love with the red lip look and will definitely be wearing this more..
Would love to know what make up looks you are currently trying out and what works for you ? Have you been into the new Kiko stores on Regent Street or Covent Garden? "Beautifully sculpted lines of a female silhouette. Unique digital surfaces which interplay with light and create a universal modern design. Personality, modernity and confidence .. In a word, KIKONESS"